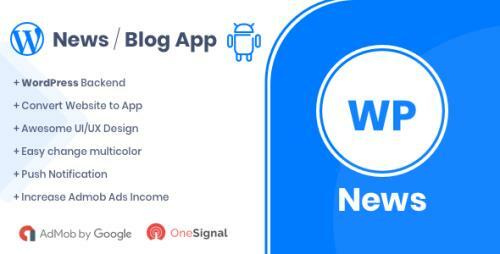 WP News App for WordPress website owner and freelancer. you can buy app source code and setup app for your news and blog website. It will help to boost content and ads visibilities. You can spread news, advertisement and earn more recurring income if you will integrate Admob. We have designed award-winning User Interface and User Experience app design for the latest era.